We hear news of acid attacks in newspapers and television. Its disheartening to see a life being victimized of no reasons. Its a loss which nothing can fill up. Off late we have seen brave girls like Lakshmi who has been a victim of this heinous crime herself, coming out and talking about such crimes openly and helping out others too. She has also received International Women of Courage award in US. Now not only she, but other girls are too taking themselves and their career seriously which is a positive step for themselves and other girls like her. 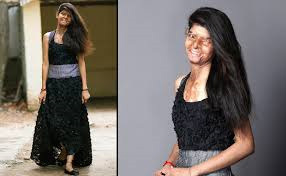 In a similar story, Rupa a Delhi based designer, and an acid attack victim decided to do a photoshoot of clothes designed under her label, with the girls who have been a survivor of similar attacks. Five girls Lakshmi, Ritu, Sonam, Chanchal and Rupa herself decided to turn models for this initiative. The girls decided to do modelling for Rupa’s clothing line which is a brave step indeed In this society where one is considered beautiful by their physical appearance, these girls have shown a lot of courage to come out and be themselves without any hesitation. The photoshoot was done by professional photographer Rahul Saran. Rupa was attacked by her stepmother, when she threw acid on her while she was asleep in 2008. 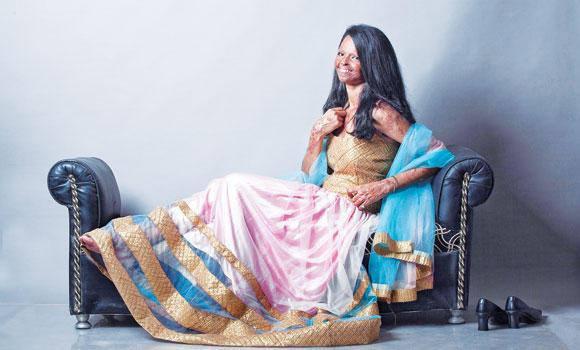 She is a part of Stop Acid Attacks charity, and wants to employ more acid attack victims under her label. Getting a photoshoot done with survivors is a part of this initiative. Its truly said that beauty lies in the eyes of the beholder. Its the beauty of your soul, rather than your physical appearance. What stays with you is your inner beauty and peace. A big salute to these ladies.